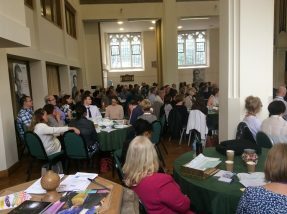 The multi-cultural hubs of Sheffield and Slough played a proud host to Kainos Community’s and Langley House Trust’s latest staff conferences in May and June 2016. Almost 200 staff gathered together over the course of the two events to celebrate at the Heart of Langley conferences which recognised staff achievement in helping men and women to live crime-free. The conferences provided a rare opportunity for nationally-based staff to come together – with employees coming from as far-flung places as Lancaster and London, Bradford and Bedford. Tracy Wild, CEO, reinforced the central mission of the Trust which is to transform people’s lives. Her stirring words encouraged a sense of hope in the potential of people to change. We have long achieved an enviable track record of creating change, with a 2.6% reconviction rates whilst people are in our housing. 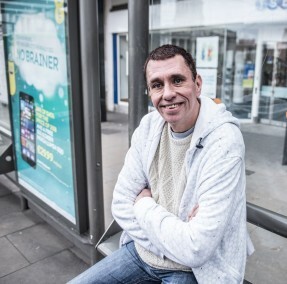 Wild also applauded the fortitude and determination of staff which has seen the charity grow by 27.8% since 2013 (when Wild became CEO), despite Government spending cuts in the corresponding time period which has seen some local authorities cut funding for offender services by 100%. Guest speakers included Andy Rider, Rector of Christchurch Spitalfields and Chaplain to the Trust and Elfrida Calvocoressi, a fellow, former trustee and the wife of one of Langley’s founders. Both spoke warmly about the Christian heritage of the Trust and how the ethos of redemption and second chances had enabled Langley to succeed during decades of working in Criminal Justice. Langley is a Christian charity committed to working with people of all faiths and none and our services are open to all. 2018 will mark Langley’s 60 year anniversary of working in Criminal Justice. Several awards were given including the Heart of Langley, Volunteer of the Year our and our very own version of the OSCArs (Outstanding Support and Care). The award reflected the passion and dedication of staff to see offenders’ lives changed for the better. The next set of staff conferences will take place in 2017.